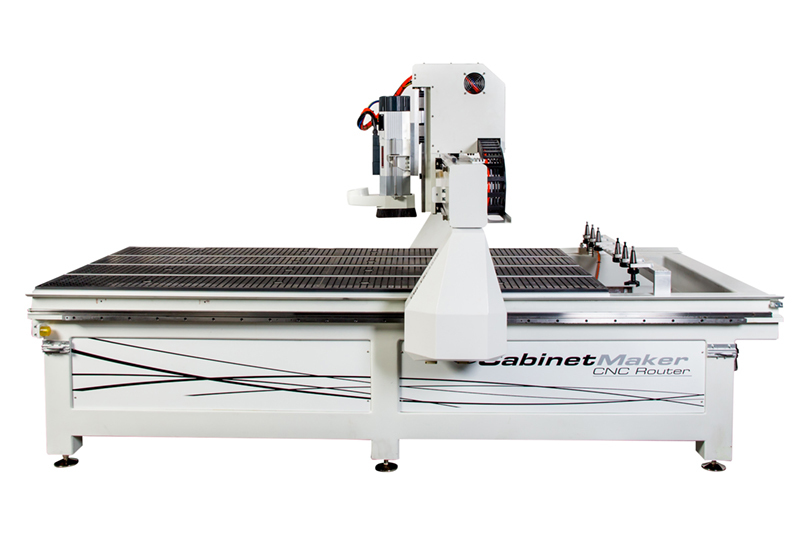 The “CabinetMaker CNC” was designed by CWI Woodworking Technologies to be the ultimate production CNC for woodworkers and cabinet manufacturers looking to increase their production efficiencies and profit at the same time! Whether building two kitchens a day, a week, or a month, or you have a need for other woodworking projects that are normally very inefficient and time consuming, the CabinetMaker CNC has the quality, performance, and value to get the job done. Two of the biggest challenges today for woodworkers is the cost of labor and the shop space required to accomplish the work flow to pay the bills. 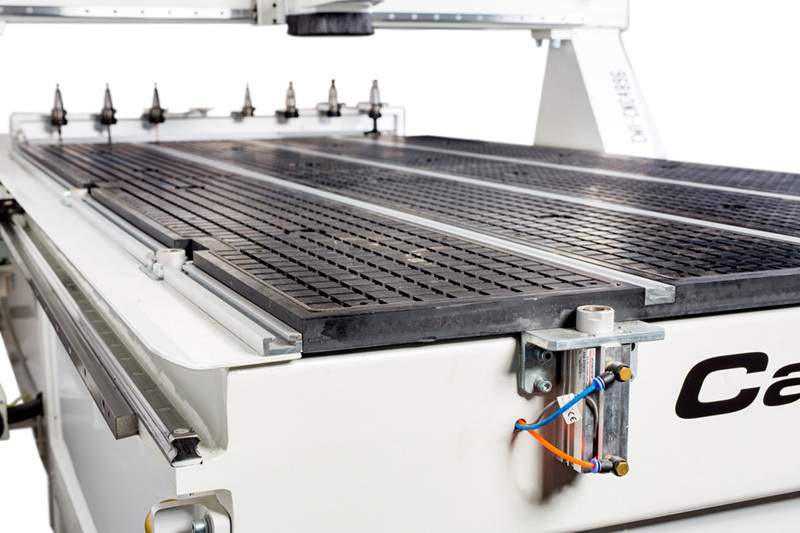 The technology, foot print and value of the Cabinetmaker CNC addresses both of these issues. 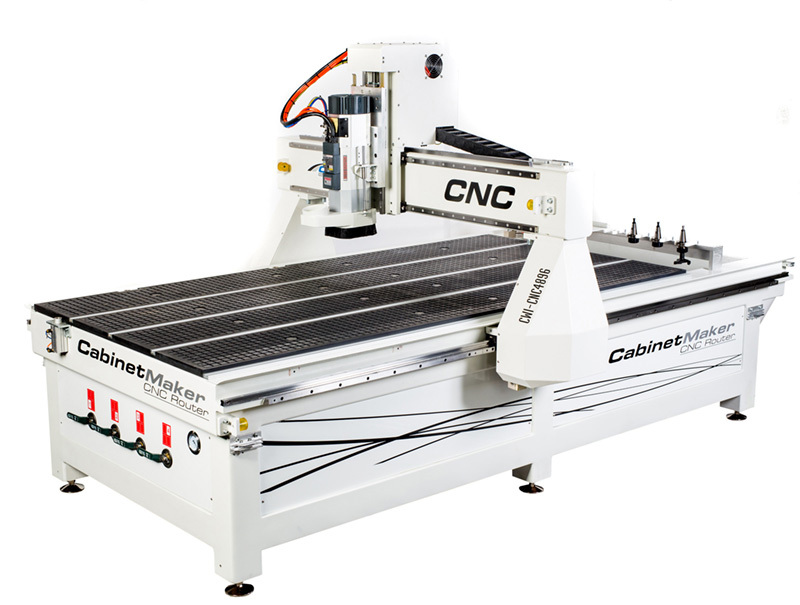 By purchasing a CabinetMaker CNC you are installing a single machine which will replace multiple stations such as the existing sheet cutting station, shelf drilling station, dado station, and drawer slide/handle drilling station, greatly increasing productivity while reducing floor space requirements. The tablesaw loads from the front which requires floor space of over 12’ wide and 20’ long to process sheet goods. A CNC like the CabinetMaker loads from the side and since the workpiece does not move once loaded, floor space required is only 12’ x 12’. The CabinetMaker CNC will nest a 4’ x 8’ sheet of melamine for optimum use of each square inch of the workpiece. It takes the user of a CabinetMaker CNC approximately 8-13 minutes to completely process a sheet into cabinet parts depending on the complexity of the program. 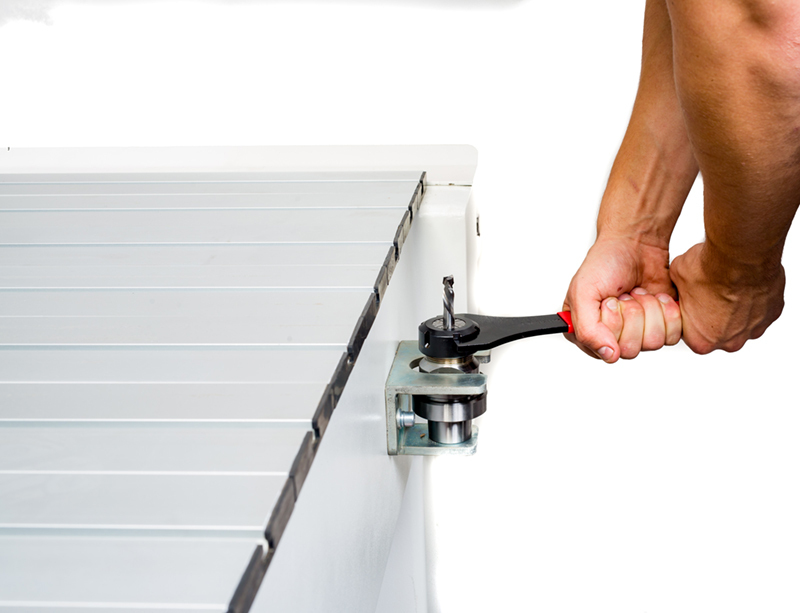 This includes time to load the sheet, have the parts cut to size, shelf holes drilled, drawer slide and handle holes placed and then unloading of the finished parts. What is also fantastic about this is that while the machine is cutting and drilling the workpiece the operator is free to function other duties in the shop such as edgebanding or cabinet assembly, greatly reducing labor costs. 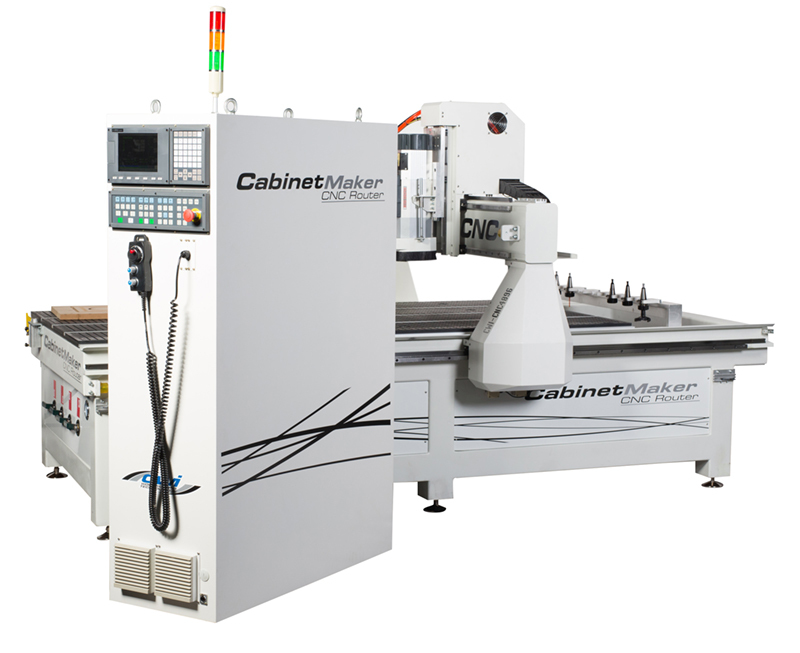 Like all CNC built by CWI the CabinetMaker CNC will offer better performance, quality, components and features than any competitive machine in its class. The base of the machine is a 3500 pound very heavy duty welded steel floor model frame. The phenolic vacuum table with t-slot tracks is then mounted to the steel frame for an excellent working surface with plenty of options for the use of hold down jigs and vacuum clamping. The German made Becker 300 cubic meter per hour vacuum pump offers plenty of holding power to keep parts in place while machining. Under the frame are four heavy duty 6” diameter adjustable feet to make sure of a solid footing on the shop floor. 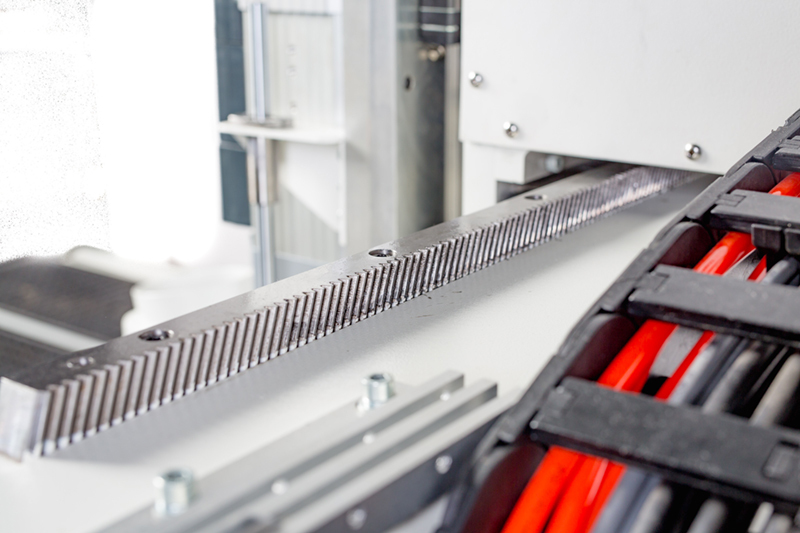 The massive gantry rides on extremely accurate German WMH Herion helical rack and pinion and linear guide ways for each of “X”, “Y” and “Z” movements. 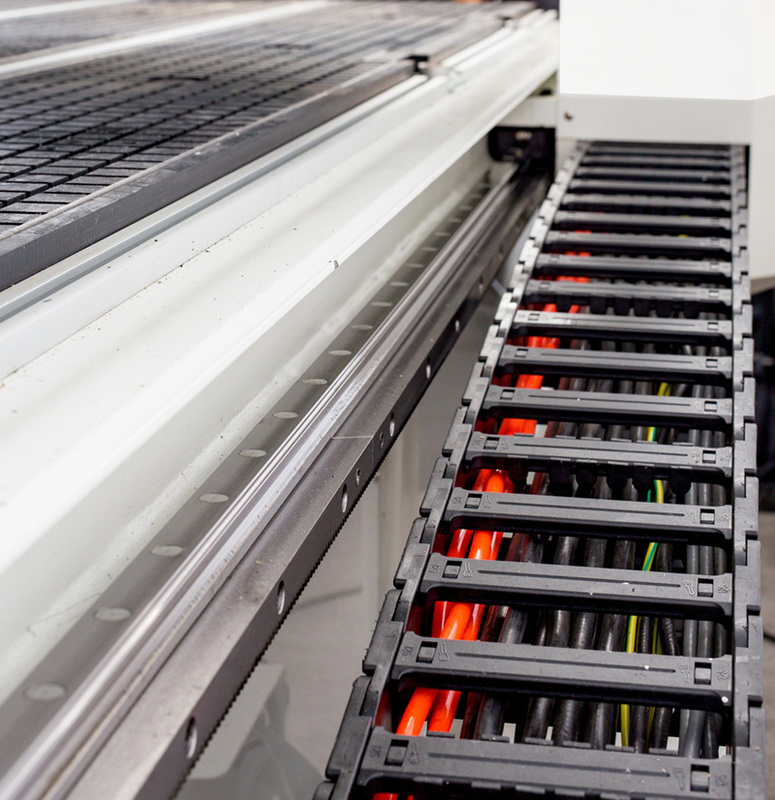 The gantry movement is powered by Yaskawa servo motors and controllers for a cutting speed of up to 700 inches per minute and a travelling speed up to 1500 inches per minute. We use two Yaskawa digital servo’s for the “Y” axis and one each for “Z” and “X”. 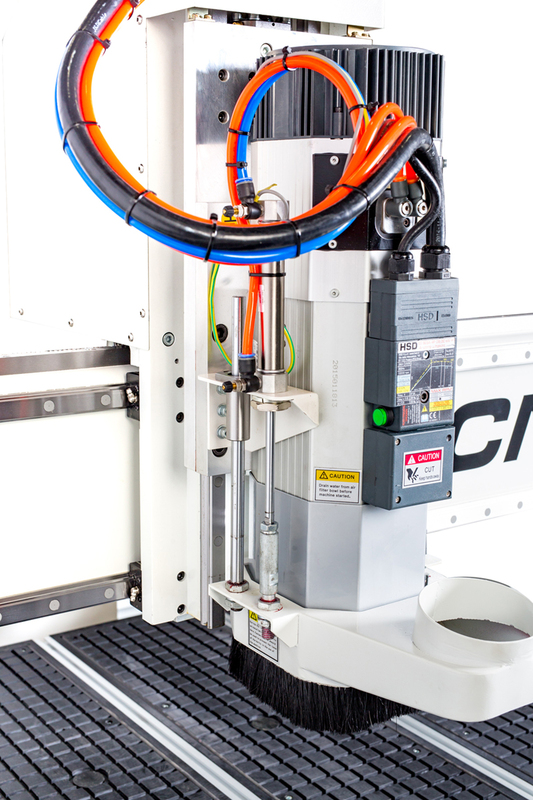 Having two servo’s on the “Y” (length of the machining area) is very important for performance, strength and accuracy of the machining process. The router spindle is a high quality Italian made HSD 7.5kw (10 HP) three phase motor which comes with 10mm, 20mm, 3/8” and ½” high precision ER32 collets. HSD is one of the leading manufacturers of CNC spindles throughout the world and are used on most of the CWI CNC’s. 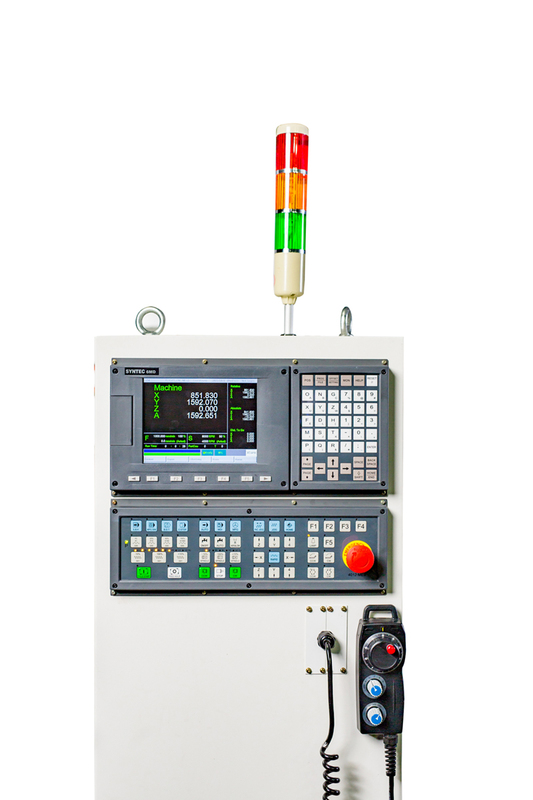 The CabinetMaker CNC offers 12” of “Z” travel while providing up to 10.5” of machining height which is extremely helpful for the occasional solid wood machining most shops encounter. 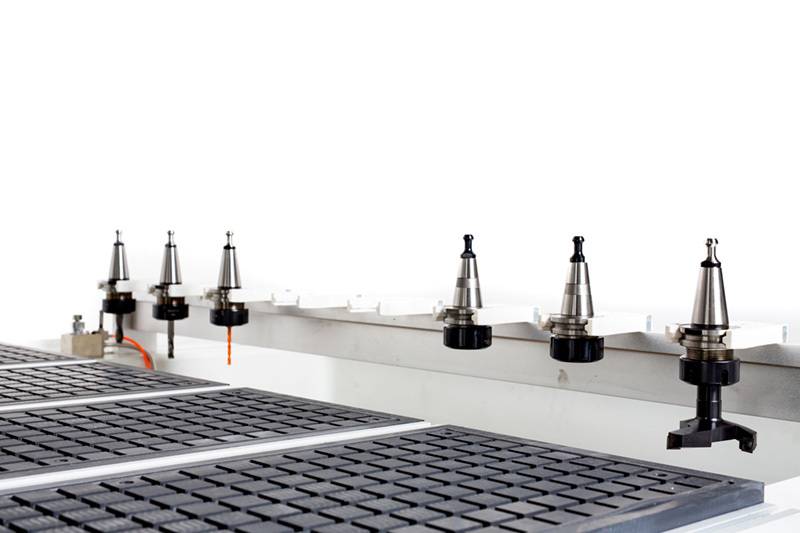 At the rear of the vacuum table is the linear tool holder with eight holder positions for the ISO30 chucks and tooling. 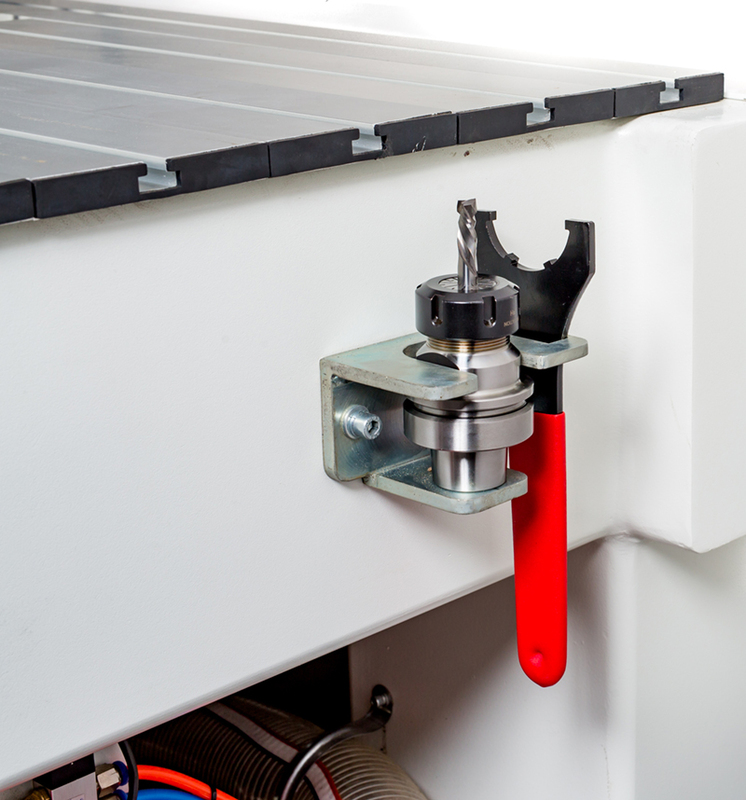 Also near the tool holders is a tool changing station and wrench for quick and easy changes of tooling. A tool measuring device is also a key feature to allow quick measurements on new loaded tools. The machining area is just under 49” x 97” with a gantry clearance height of 12”. 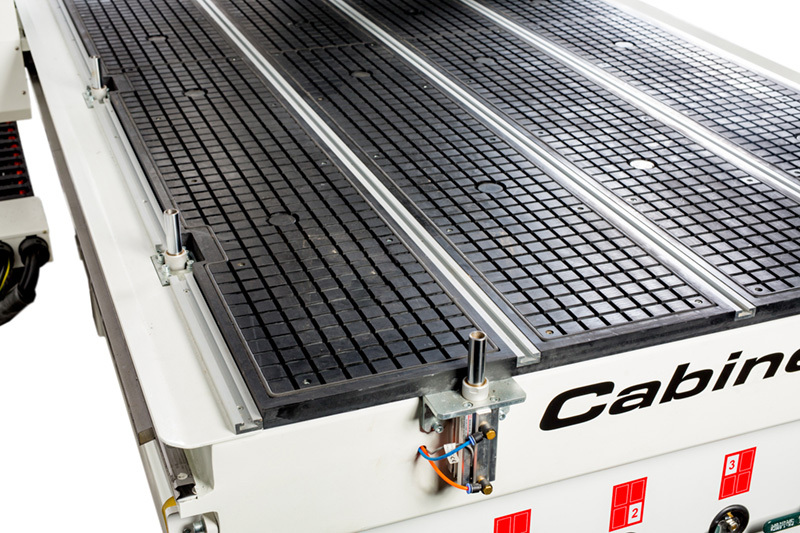 The CabinetMaker CNC is also available in an optional 61” x 121” working area (5’ x 10’). For ease of machining we include a set of three pneumatic reference pins which allows the operator to quickly and accurately locate the work piece in the same home position every time. No mistaking where your router bit will find the work piece. 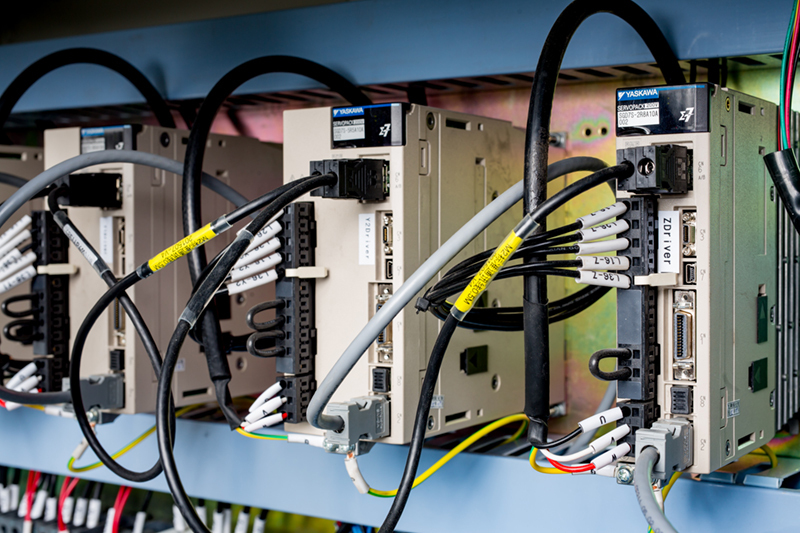 For operation of the machine we include a Syntec controller with USB connection and a magnetic hand held manual control controller. 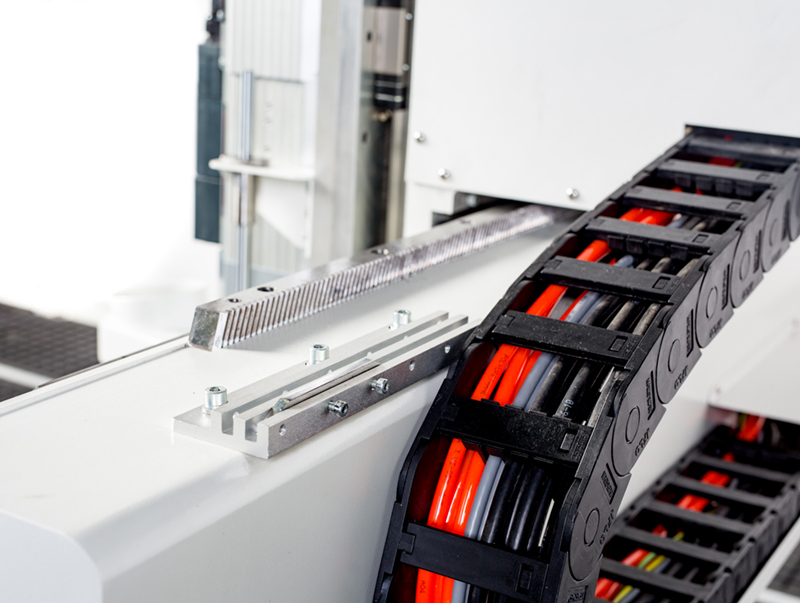 The manual controller lets the operator make trial runs or adjust for broken tooling with ease. 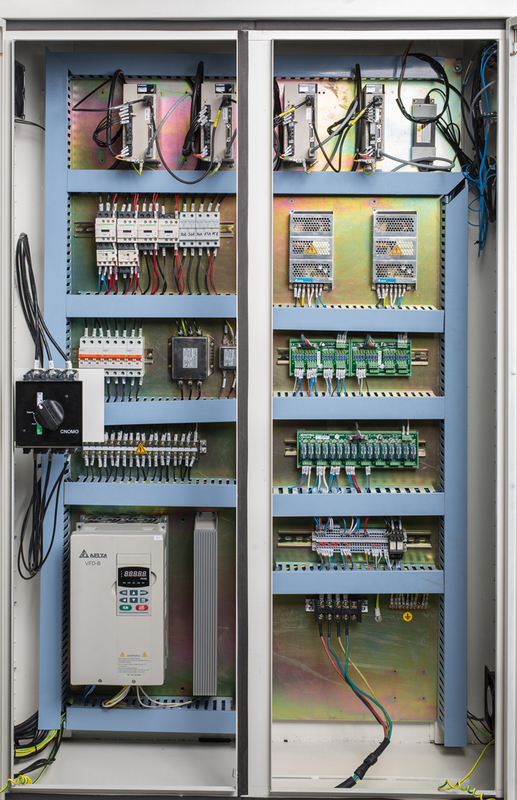 The “guts” of the CabinetMaker CNC is a very elaborate control box full of Schneider CSA contactors, fuses and holders, Delta Inverter, Omron safety switch controls, and Yaskawa Servo controls. We use Omron micro limit switches for controlling stops and movements of the home positioning. The CabinetMaker CNC is fully CSA certified for use in Canadian commercial applications or anywhere users need higher quality electrical protection. 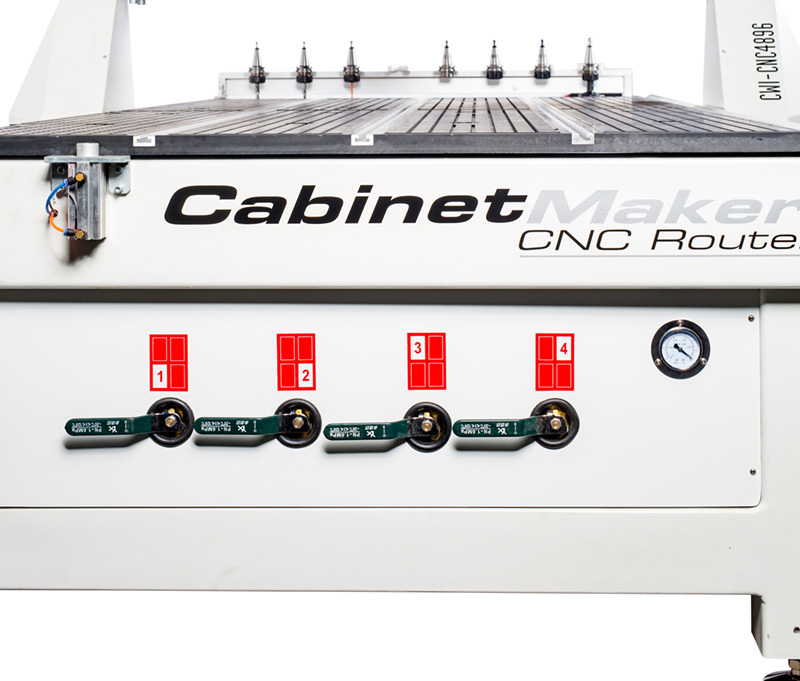 The CabinetMaker CNC is able to operate on either three phase power or single phase power with a phase converter we can supply. We recommend a standard 60 amp 220 volt circuit breaker. For dust collection we include a pneumatically controlled dust boot with a 4” dust port to connect to standard dust hose. The CabinetMaker CNC ships to our customers in a wooden crate measuring 90” x 133” x 84” and weighs in at 4000 pounds. Options for the CabinetMaker CNC are software, cutting tools, working area size, dust hose, dust collection and extras Chucks and collets. 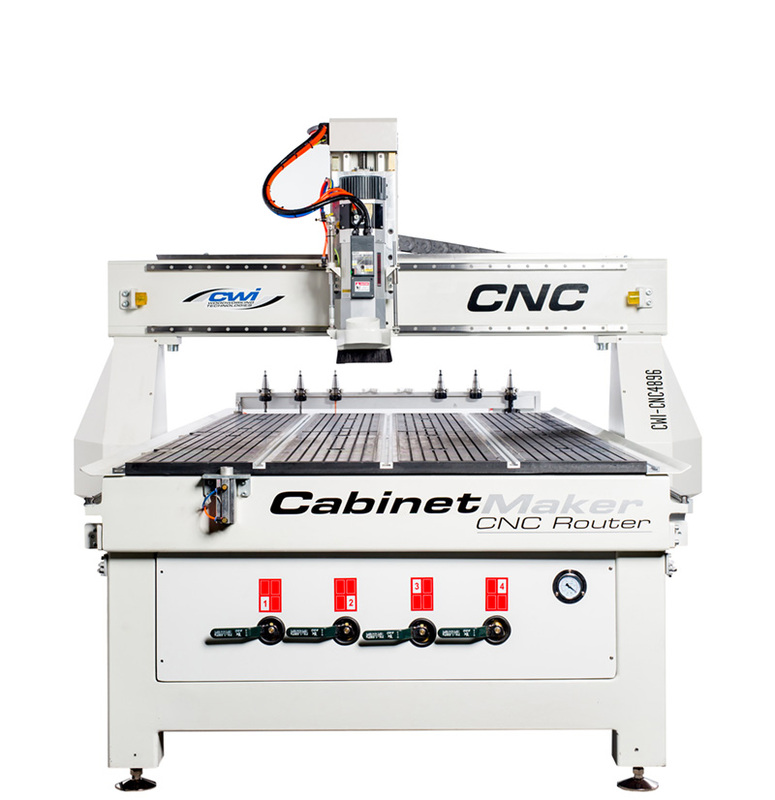 CWI Woodworking Technologies is a leading producer of some of the best CNC routers available today. Our customers tell us so!! Browse the product archive. 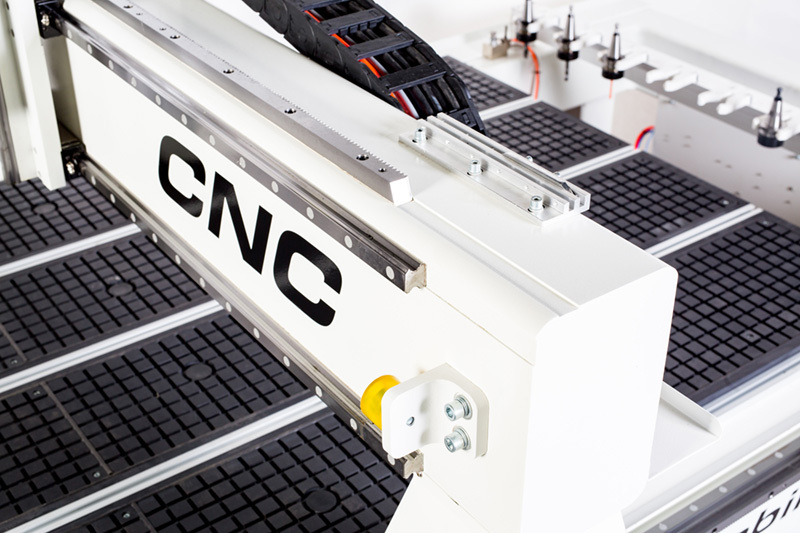 Type: CNC. Brand: CabinetMaker. Bookmark the permalink.